Part of Kings III's all-inclusive emergency monitoring services includes making sure that all emergency help phones are installed properly and are code compliant. Here's what you can expect during the process. Day 1: Kings III receives your paperwork order and builds your customer account for our records. Within five business days, we will reach out to you with the name and contact information of your assigned service technician and schedule the installation. We will try to schedule the installation as soon as possible, but aim to accommodate your schedule as needed. If a permit is required in order for your emergency phone to be installed, Kings III staff will facilitate the permit application and update you as to the anticipated time frame for permit processing. Your Kings III technician will reach out to you 48 hours prior to your scheduled installation to confirm. On your scheduled installation date, your Kings III technician will arrive to install your phone(s). 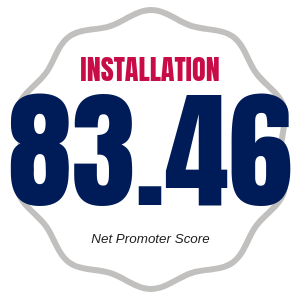 Installations typically take an average of 2 hours per phone. Before leaving your location, your technician will briefly train you on system operation and testing as well as provide a completion sheet to be signed. Within 1 month, you will be invoiced. ACH debit available- email billing@kingsiii.com or 800-354-6473 x231 to inquire. Kings III's unique line seizure technology allows our technicians to install emergency phones without requiring a dedicated phone line. We can instead use an existing phone line such as a fax line or secondary fire line, thereby eliminating the cost of a dedicated phone line. We do all of this while remaining 100% code compliant. Just ask inspectors, they love us! Upon installation, Kings III technicians can put up to eight phones on one line (an existing one) where applicable. An initial emergency phone test will be performed during installation to ensure that all of your emergency phones meet all code requirements at the time of installation. As part of our turnkey solution, we offer emergency phone auto testing upon request. This is an exceptional score of which we are very proud. We're talking close to Apple territory here and far ahead of typical security industry numbers. "Good enough is not good enough; pursue excellence" is a core value of ours and lives in everything we do, installation included. Learn more about the Net Promoter Score in this blog post.